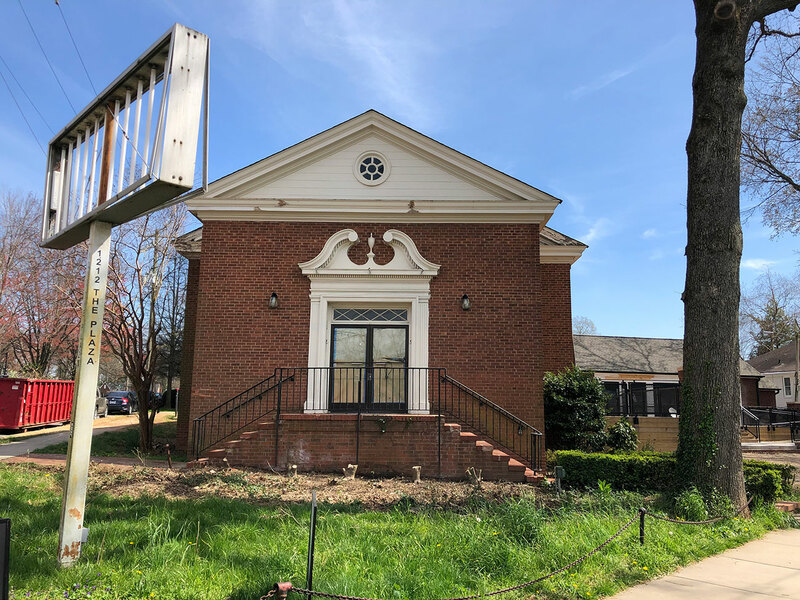 A historic church in the heart of Plaza Midwood will be home to Supperland, the latest restaurant and cocktail bar concept from the owners of Haberdish, Crepe Cellar, Growlers Pourhouse and Reigning Doughnuts. 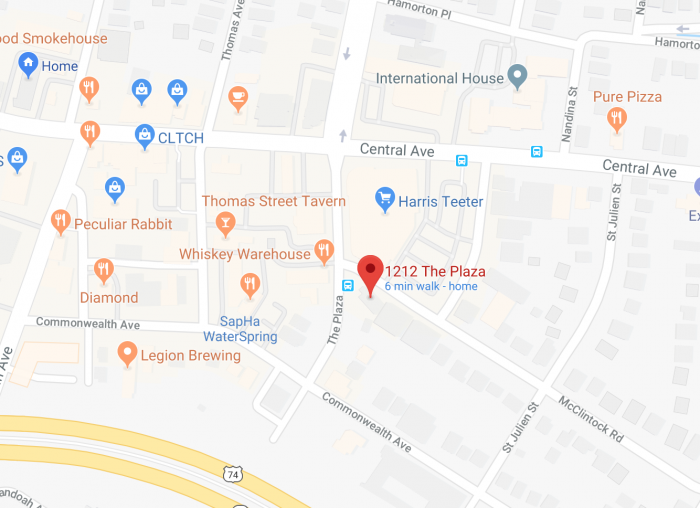 Husband and wife restaurateurs Jeff Tonidandel and Jamie Brown have been eyeing the location for three years and finalized the lease on 1212 The Plaza last week. They’re shooting for an opening in early 2020. The corner lot is located directly across the street from Whiskey Warehouse and Sushi Guru and includes two buildings totaling 7,500 square feet of space. The landmark 5,250-square-foot church built in 1952 will serve as the main dining room and a smaller 2,250-square-foot back building dating back to 1936 will be a craft cocktail bar. Ample outdoor space with a garden and patio will front The Plaza. It’s the couple’s largest, most ambitious project to date with their first restaurant Crepe Cellar celebrating 10 years on April 16. Chef Chris Rogienski, currently a sous chef at Haberdish, will lead the kitchen at Supperland with a Southern menu that draws inspiration from traditional church potluck picnics. Tonidandel says to expect thoughtfully-sourced proteins, quick-charred vegetables and shareable family-style sides. A similar simplified menu will be available in the adjacent cocktail bar. 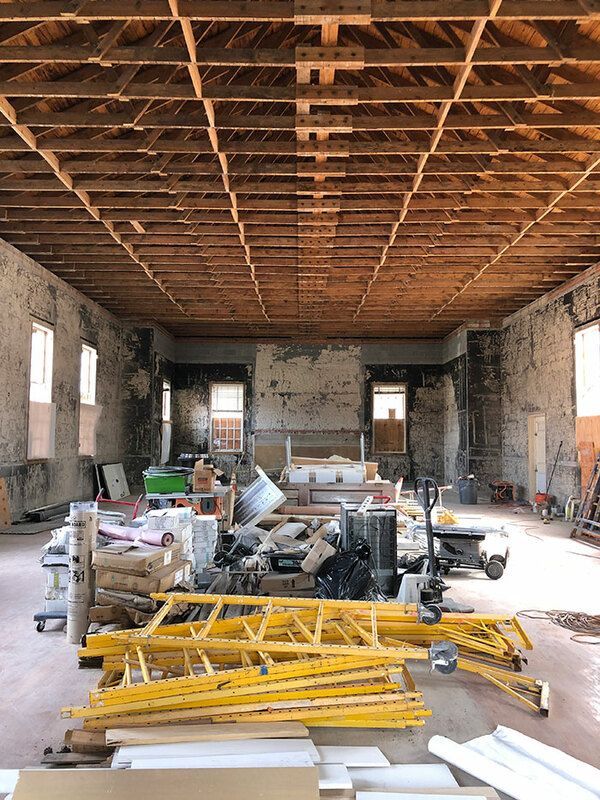 The dining room will seat about 100 with a chef’s counter overlooking an open-fire show kitchen at the front of the building in the former church chancel. They’ll have no gas or electric appliances in this space opting instead to feature an all-fire operation where dishes will be finished before table delivery. The remaining kitchen prep, fryers, stoves, storage and office space is in the basement along with a wine cellar. Brown and Tonidandel are big on grounding Supperland in a sense of place, not only with regional Southern cuisine but also with architectural preservation. 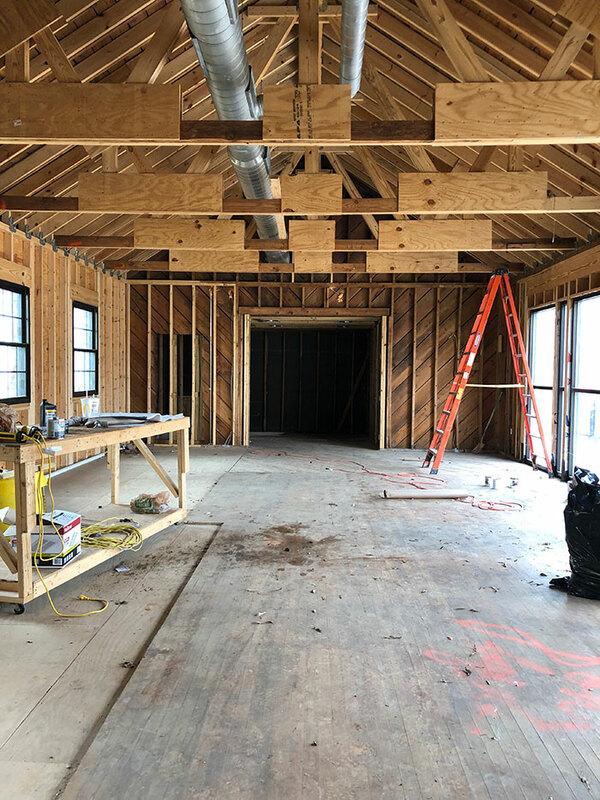 The space will feel very much like a church with its vaulted ceiling, exposed beams, raw original walls and two-toned flooring designed to highlight where the aisle once ran between pews. Tonidandel, a woodworking hobbyist, is building all the tables himself. Bar manager Colleen Hughes will run an ambitious craft cocktail bar in the adjacent back building. 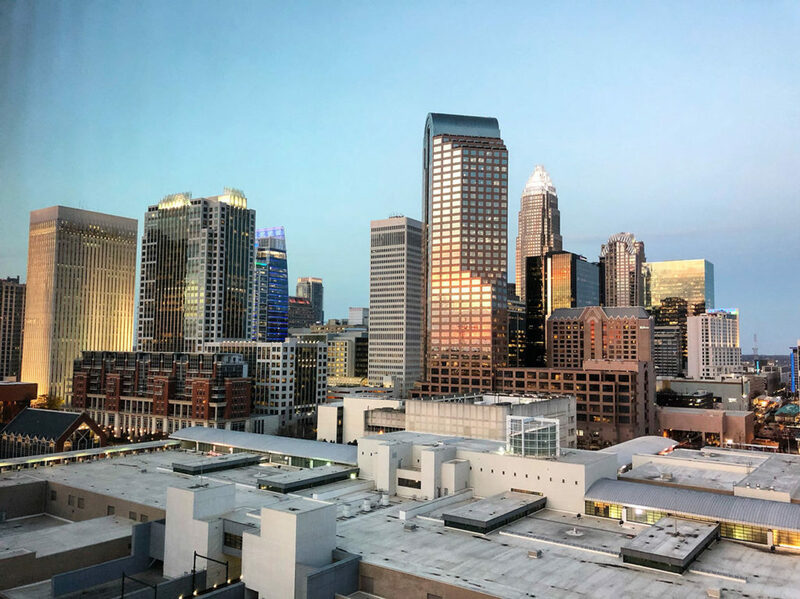 Hughes is a respected leader in Charlotte’s craft cocktail scene overseeing the bar programs at all of Tonidandel and Brown’s restaurants. Her cocktail menus stand out for their complexity, hard-to-find ingredients, creativity, relevance (rolling out a Prohibition-era menu on Repeal Day or a tiki menu for the summer, for example) and presentation. And her use of flowers frozen in ice, edible confetti and other eye-catching garnishes make for an extra Instagrammable experience at Haberdish that’s ahead of the curve in town. Expect more of the same at Supperland’s cocktail bar, which will seat about 40 and opens to a patio with seating for another 60 overlooking the front garden. It has a bit of a treehouse feel with exposed beams and garden views, and Brown says they’re working on a floral garden-inspired design inside. 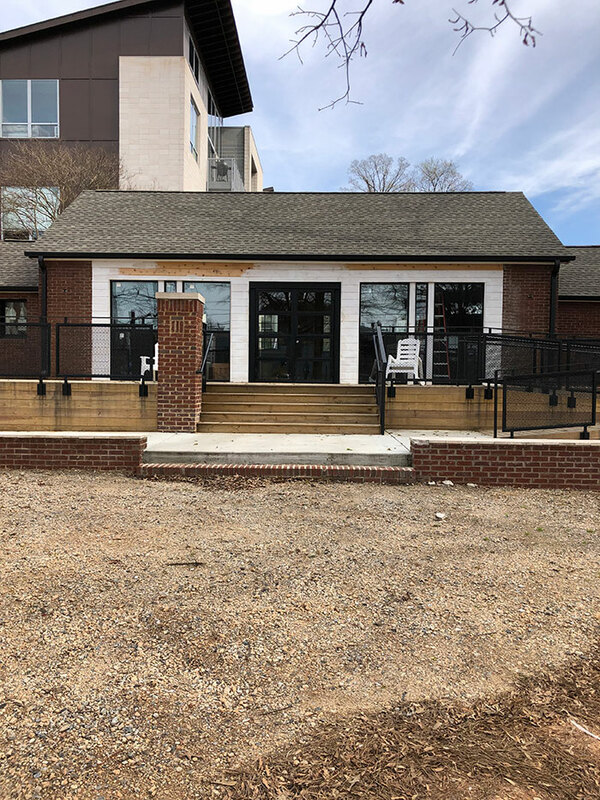 Tonidandel and Brown are Charlotte food and drink heavy hitters with a decade of restaurant and bar ownership experience dominating half a block in NoDa, one of the city’s hottest neighborhoods. The success of their restaurants is a mix of instant hype and steady relevance, and the couple’s deep commitment to a neighborhood’s sense of place makes the expansion into Plaza Midwood significant. The rapidly changing, stubbornly loyal community demands not so much perfection but personality any time a new concept arrives along the Central Avenue corridor. Supperland will fit right in with its Southern roots, historic preservation and activated outdoor space. Follow along on Instagram, Facebook and Twitter for construction progress and opening updates.